ESI is providing engineering and construction management services for the replacement of the existing 42-inch water main leaving the Hugh A. Wyckoff Water Treatment Plant. The scope of this project is to replace approximately 6,100 LF of existing 52-year old 42-inch and 30-inch prestressed concrete water main with a new 42-inch ductile iron water main. The project will improve reliability of the supply from the plant and will simplify the connections that have been made over the years near the intersection of Mars Hill Road and Highway 41. This project includes selecting a new location of the 42-inch treatment plant supply main that will allow CCMWA to maintain service in the existing water main during construction. Several routing options were evaluated with the longest route being approximately 7,000 feet long. Evaluations considered weighing factors such as capital costs, construction issues, environmental impacts, and easement requirements. Out of seven routing options evaluated, three of the options were recommended to the CCMWA. Construction began in 2018. ESI provided engineering, design, and construction management services for the replacement of the existing 36-inch pre-stressed concrete cylinder water main on Mableton Parkway. The scope included selecting the preferred location for the new pipeline, locating utilities, performing a field-run survey, preparing plans and specifications to bid the project, obtaining approval from Cobb County, and providing construction administration and observation services. 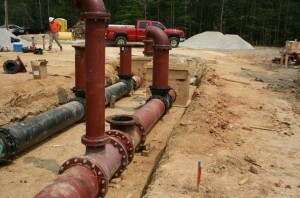 One of the major challenges of this project was the selection of the preferred location of the new water main. 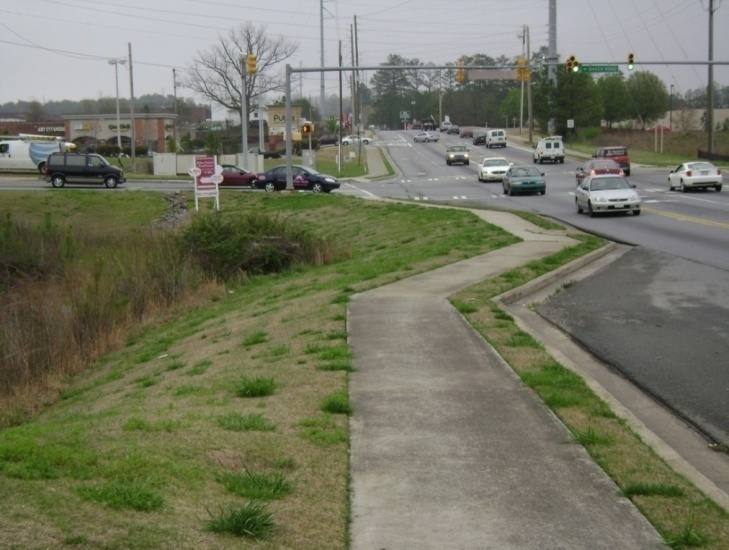 ESI and the Cobb County-Marietta Water Authority evaluated several options including same trench replacement or installing the new main parallel to the existing in the north or south shoulder of the road. During evaluation, it was determined that the options to construct on the north and south side road shoulders would present utility conflicts and necessitate jack and bore installation. Another option considered was to construct the new water main in the same trench and alignment as the existing water, requiring the removal of the existing 36-inch main. Finally, it was decided that the construction of the new water main would occur in the same side of the road as the existing main. ESI was selected by the Cobb County-Marietta Water Authority to design and manage construction of 29,000 feet of 48-inch water main for the West Side Loop. 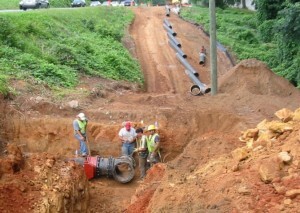 The project consists of construction of a water transmission main in Cobb County along Friendship Church Road, Dallas Highway, cross country along an existing power line easement owned by Georgia Transmission Corporation, Burnt Hickory Road, Paul Samuel Road and Stilesboro Road. Design and bid of the project has been completed and construction is expected to be completed by the first quarter of 2017. ESI was hired by the Gwinnett County Department of Water Resources to provide engineering design services for the replacement of 13,200 linear feet of existing 48-inch pre-stressed concrete cylinder pipe (PCCP) water transmission main along Langley Road, Hope Hollow Lane, and Hope Hollow Road/Moon Road between Athens Highway (Highway 78) and Loganville Highway (Highway 20) with 48-inch diameter ductile iron pipe (DIP). This project also includes installing 6,450 linear feet of 8-inch DIP to remove services from the 48-inch transmission main for two subdivisions and 14 single family residences. The new 48-inch water main will connect to the existing 48-inch DIP water main on the north side of Athens Highway and the existing 48-inch DIP water main of the south side of Loganville Highway. This Paulding County project consisted of installing approximately 12,500 linear feet of 16-inch water main and appurtenances to replace existing 6-inch and 8-inch water mains and replacement of a master meter from the Cobb County-Marietta Water Authority. ESI provided preliminary engineering, design and construction management services. This project involved the relocation of 8-inch, 12-inch, and 42-inch water mains along Jiles Road in Cobb County to accommodate widening of the road. Portions of water mains were relocated around new retaining walls and storm water drainage structures. Project also involved relocation of water meters, fire hydrants, and air release valves, and reconnection of existing distribution mains to the new water mains. ESI was responsible for preliminary engineering, design and assistance during the bidding phase. This City of Griffin project involved the construction of 21 miles of transmission main from a new water treatment plant in Pike County to the City of Griffin (8.8 miles of 36-inch ductile iron pipe; 1.2 miles of 30-inch ductile iron pipe; and 11.0 miles of 24-inch ductile iron pipe). The segments near the water treatment plant were designed for working pressures above 200 psi and tested at 315 psi. The end of the project consisted of 24-inch DIP installed in congested streets in Griffin with narrow rights-of-way and multiple existing utilities. Portions of the main were installed with extra protection against corrosion. 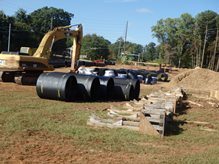 This project involved the installation of 6,500 LF of 20-inch ductile iron pipe water main and appurtenances along SR 20 in Cherokee County prior to a GDOT road widening project. The project also involved re-connection of an existing 8-inch CIP water main at eight locations. ESI provided preliminary engineering, design, bidding and construction management services to the City of Canton. 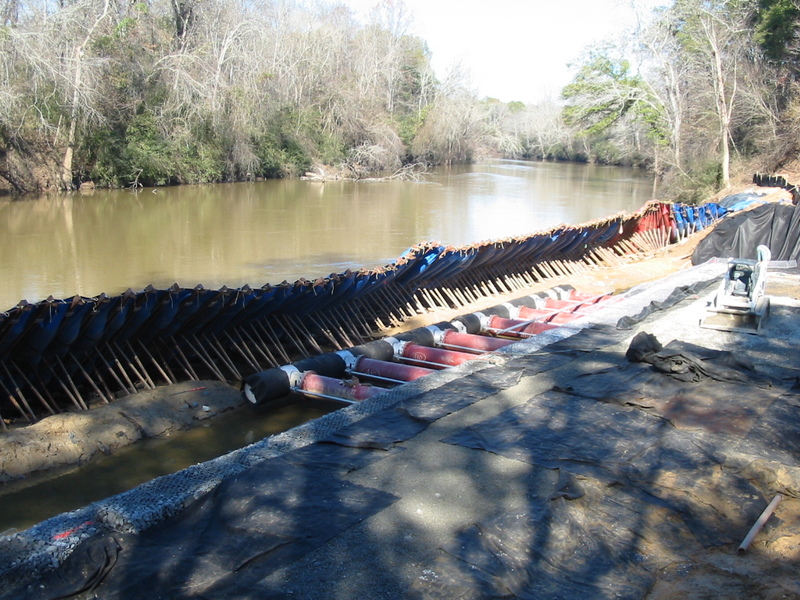 This project for the City of Griffin involved the construction of 11 miles of 20-inch ductile iron pipe installed along county and state highways with one crossing of the Chattahoochee River in Pike County, which is located south of Spalding and Fayette counties. This was the fifth contract of five construction projects for this regional project, with the other pipeline project being Contract 2. 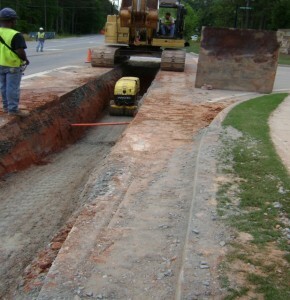 The main purpose of the water main installed in this project was to provide water to Coweta County. In an effort to provide a more reliable water distribution system with higher operating pressures, the Paulding County Water System proactively identifies system upgrades to improve customer service. In its planning process, Paulding County identified a project to improve service to the western areas of the County. The project was to replace an older booster pump station with a new booster pump station and a new transmission main. The Paulding County Water System hired ESI to perform the preliminary engineering, final design and construction management of this project. The project included a new 3,000 gpm booster pump station readily upgradeable to 4,000 gpm and 4,500 LF of 16-inch diameter ductile iron water main. ESI performed the preliminary engineering, preparation of plans and specifications, permitting, and construction administration.